The bone may be fractured but stable, which is known as a simple fracture or a closed fracture. Bone fragments may be sticking through the skin, which is known as a compound fracture or an open fracture. Chip ( avulsion fracture )—A small piece of bone is broken away from the main bone and usually attached to a ligament or tendon. Compression—The bone is compressed together, such as vertebrae. Comminuted—The bone is in pieces. Greenstick—One side of the bone is broken and the other side is bent but not broken. Growth plate fracture —A child's developing tissue is fractured. Transverse—The bone is broken in a horizontal line that is perpendicular to the surface of the bone cortex. Oblique—The bone is broken in a line that is less than a 90° angle to the surface of the bone cortex. Spiral—The line of the fracture forms a spiral. Stress—A thin fracture line occurs due to overuse rather than a single traumatic incident. Trauma is a physical force applied to the bone that the bone cannot withstand. Stronger bones can withstand more physical force than weaker bones. Fractures are more common in older adults. You will be asked about your symptoms and how you injured yourself. The injured area will be examined. Extra support may be needed to protect, support, and keep the fracture in line while it heals. Supportive steps may include a splint, brace, or cast. A sling may be necessary to help stabilize the arm. Children’s bones are still growing at an area of the bone called the growth plate. If the fracture affected the growth plate, a specialist may be needed. Injuries to the growth plate will need to be monitored to make sure the bone can continue to grow as expected. Healing time ranges from three weeks for a simple finger fracture to many months for a complicated fracture of a long bone. All fractures require rehabilitation exercises to regain muscle strength and joint motion. Delayed union—It takes longer than usual to heal, but does heal. Nonunion—The bone does not heal and needs some special treatment. Infection—This is more likely to happen after an open fracture or surgery. Nerve or artery damage—This usually occurs as a result of severe trauma. Compartment syndrome—This is severe swelling in the spaces of the limbs that causes damage to body tissues. Late arthritis—This may happen if the surface of a joint is badly damaged. Avoid putting yourself at risk for an accident or other trauma to the bone. 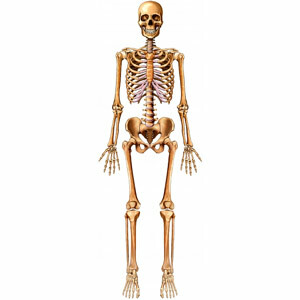 Do weight-bearing exercise regularly to build and maintain strong bones. Do strengthening exercises regularly to build strong muscles and prevent falls. Wear protective equipment when playing sports. Fractures: an overview. Ortho Info—American Academy of Orthopaedic Surgeons website. Available: http://orthoinfo.aaos.org/topic.cfm?topic=A00139. Updated October 2012. Accessed August 30, 2017. Gruntmanis U. Male osteoporosis: deadly, but ignored. Am J Med Sci. 2007;333(2):85-92. McCarus DC. Fracture prevention in postmenopausal osteoporosis: a review of treatment options. Obstet Gynecol Surv. 2006;61(1):39-50. 1/4/2011 DynaMed Plus Systematic Literature Surveillance http://www.dynamed.com/topics/dmp~AN~T113993/Diabetes-mellitus-type-2-in-adults : Loke YK, Singh S, Furberg CD. Long-term use of thiazolidinediones and fractures in type 2 diabetes: a meta-analysis. CMAJ. 2009;180(1):32-39.